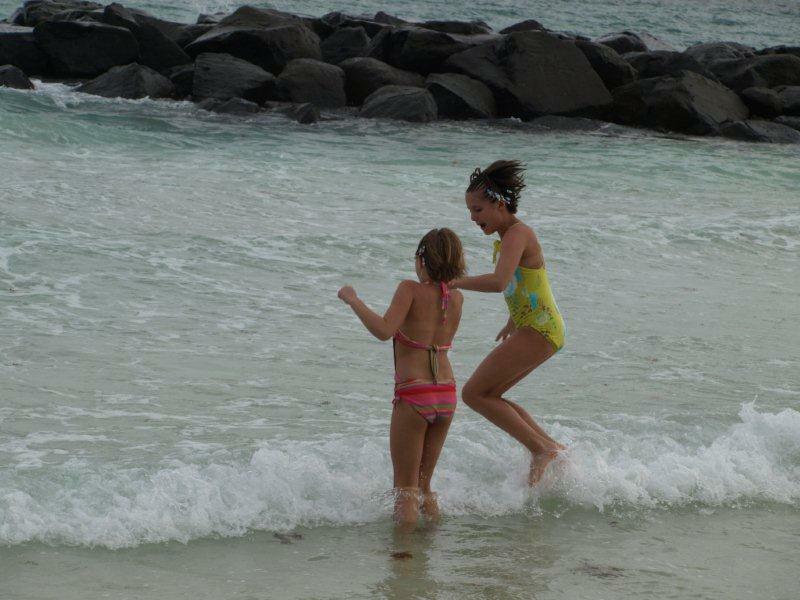 Over spring break, Brian, the girls and I headed 2,000 miles south to Barbados for a little sun and fun. I also got a side dish of inspiration and recharged batteries. And with all of the craziness happening in my life right now, a little recharge was just what I needed. Waking up to this view each day wasn't too shabby. 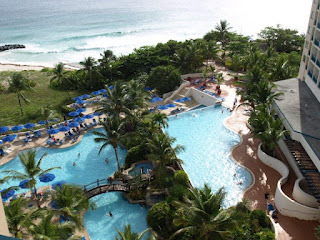 We stayed at the Hilton Resort and it was completely amazing. Beautiful views, awesome pools, incredible beaches, attentive staff. I definitely recommend it. 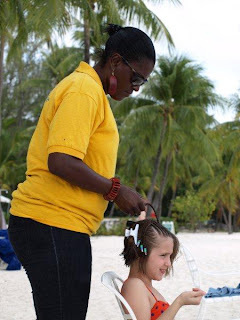 The girls embraced the island attitude and got their hair done in cornrows. Here's Lila, living it up. When I look back at all of my pictures from vacation I feel so lucky and thankful for my family and all of the adventures we have together. Barbados was full of energy, colors and unbelievable beauty. I have some inspiration pictures from our trip that I'll be back to share with you soon.